To order a personalized, autographed copy of Ronald Reagan: An American Journey or any of Bob’s other bestsellers, please click here. 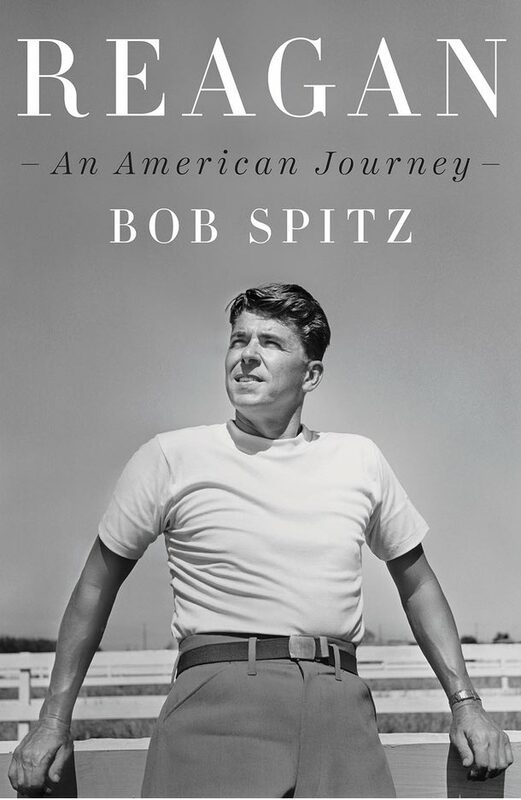 Based on hundreds of interviews and access to previously unavailable documents, and infused with irresistible storytelling charm, Bob Spitz’s REAGAN stands fair to be the first truly post-partisan biography of our 40th President, and thus a balm for our own bitterly divided times. It is the quintessential American triumph, brought to life with cinematic vividness: a young man is born into poverty and raised in a series of flyspeck towns in the Midwest by a pious mother and a reckless, alcoholic, largely absent father. Severely near-sighted, the boy lives in his own world, a world of the popular books of the day, and finds his first brush with popularity, even fame, as a young lifeguard. Thanks to his first great love, he imagines a way out, and makes the extraordinary leap to go to college, a modest school by national standards, but an audacious presumption in the context of his family’s station. From there, the path is only very dimly lit, but it leads him, thanks to his great charm and greater luck, to a solid career as a radio sportscaster, and then, astonishingly, fatefully, to Hollywood. And the rest, as they say, is history. Written with love and irony, which in a great biography is arguably the same thing, Bob Spitz’s masterpiece will give no comfort to partisans at either extreme; for the rest of us, it is cause for celebration.